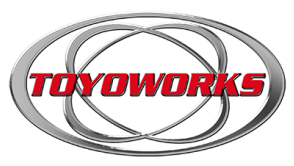 My name is Andre Boydens, owner of Toyoworks LLC. I was born in Norfolk, Virginia and have lived in Phoenix since the age of 6 when I moved here with my mother Evelyn Boydens. She instilled in me good morals and the belief that honesty brings a clear conscience. Mechanics is in my blood. My father, whom I did not know well, was a mechanic for International Harvester in the 1950’s. I often saw my older brothers; Rudy, Mark, Bob, and Ted working on their automobiles in our yard at home. On my mother’s side of the family were several piano rebuilders, refinishers, and tuners. As a result of this family background I early on developed a natural interest in mechanics. I am thankful for the support of my wife Maribel, Family, and to all my customers for your support and trust enabling us to grow to the full size auto repair shop we have now. At the age of 15 I installed my first engine in a 1956 Willys CJ5 Jeep which I had bought without an engine. At age 17 I totally rebuilt my first engine for a Triumph TR 250. In 1980 at age 20 I started my first professional job with a company called Import Auto (Greg Mascaro Enterprises) where I worked for 8 years diagnosing and repairing British motor cars such as Jaguar, Rolls Royce, MG, and Triumph, until moving on to work for a Subaru Dealership. Over the years I had the opportunity to become familiar with Toyota and realized that it was a very well built product which would always be around, and one that I would be proud to service. So in 1990 I started work for Camelback Toyota as a tech diagnosing and repairing Toyota automobiles and taking classes to become a Toyota Master Technician. In 1994 I took an opportunity to become a team leader at Bell Road Toyota where I continued my education to reach the highest level Toyota has to offer, (Master Diagnostic Technician). 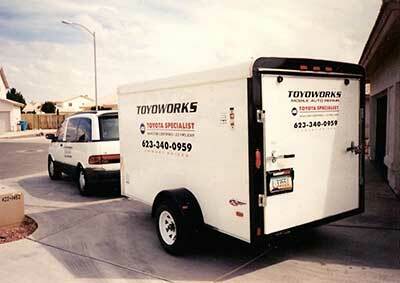 I started my personal Toyota Mobile auto repair service in 1999 working out of the back of a Toyota van. Later I purchased a trailer for my tools which allowed better productivity. As word of mouth spread and my client list continued to grow, I realized that in order to give better service I was going to need a more permanent facility in which to work. 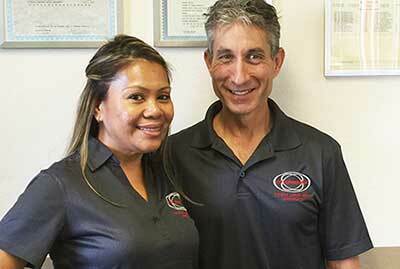 My wife Maribel and I had a vision and started the plans to build a new facility. So in 2003 we bought some property at a good price and started construction early in 2008. After overcoming the many difficulties, delays and red tape, we completed the building in August of 2009. I am thankful for the support of my wife Maribel, Family, and to all my customers for your support and trust enabling us to grow to the full size auto repair shop we have now. We strive to keep overhead as low as possible in order to pass the savings on to customers without losing the quality that you expect and deserve.